Posted on Wed September 9, 2015. Sushi is everywhere these days and Stellenbosch is no exception. If you’re craving this healthy rice-filled, seaweed-wrapped treat, we have just the places for you not far from our guesthouse. There is so much to rave about when it comes to Genki. This small restaurant adorned with lanterns and tasteful Oriental art, offers the best Japanese food and sushi in the area. The miso soup is a tasty starter filled with soft tofu. Alternatively, try the tempura prawns. For mains, order one of their amazing sushi platters if you’re keen to share with your party. The salmon only platter is delicious and the dragon rolls and salmon roses are a must-have. Genki is found tucked away in a charming cobblestone square, far from the nightlife for a little peace and quiet. In winter, they provide standing heaters and you are welcome to bring your own wine. Hayashi supplies sushi and Chinese food that keep customers coming back time and time again. Owned by Leon Lin, Hayashi’s dedication to gourmet Chinese and fresh, flavourful sushi is evident. Not only that, but there’s half-price sushi every day, even though the menu is reasonably priced. Try the sashimi and tasty California rolls for a taste explosion. In addition to sushi, there are several Chinese meal options, including soft shell crab. Suki’s all-you-can-eat sushi buffet for R129 is what draws in the most avid of sushi lovers. Expect fresh, mouth-watering traditional sushi, as well as Suki’s own inventive sushi combinations, such as the Rock & Roll, a prawn and avo California roll topped with seared salmon or tuna. 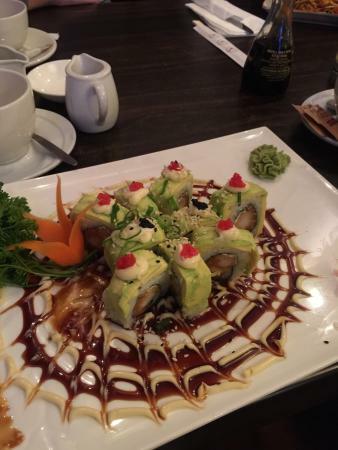 The Crazy Girl is also worth a try – a prawn, cheese, peppadew and avocado deep fried California roll with toppings. Wash your meal down with one of the original Asian beers available or have a cocktail for only R29 during their special that runs from 4-7pm. An added bonus is that Suki Thai is open during load-shedding. Any time the craving hits, visit any one of these spots and enjoy a great night out. If you need any directions, simply ask us at the front desk.